In 1915, the Ironite Company of Chicago invented a cost-efficient product to waterproof concrete foundations from the inside called, “Ironite”. 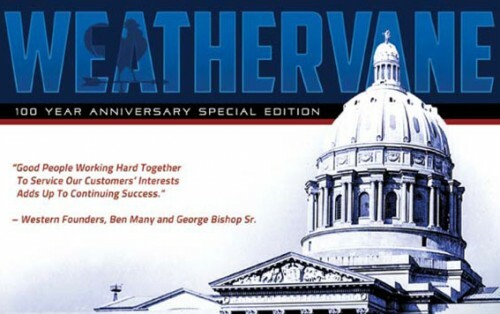 St. Louis native Ben Many jumped on the opportunity and convinced the Ironite Company to give him exclusive rights to the product and, in return, Many would help grow its business. 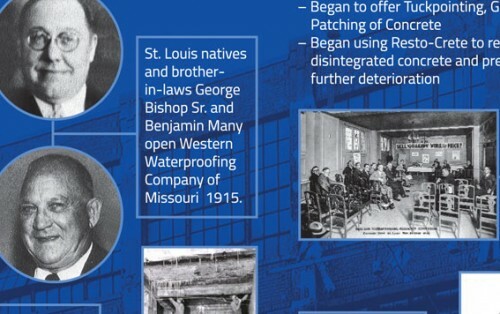 Against all odds, Many, who recruited his brother-in-law George Bishop, Sr. to assist him after returning from the war, started a basement waterproofing company in St. Louis, MO, that they named the Western Waterproofing Company. 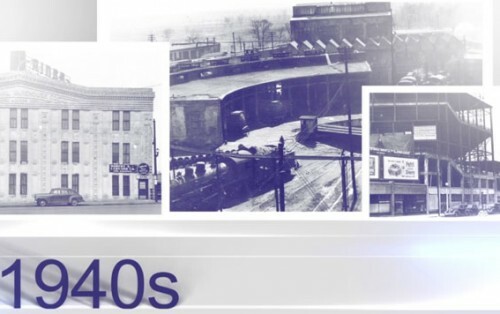 As the years passed, family members joined the business to help it grow and expand its reach and service offerings throughout the country, making Western one of the largest and most respected masonry, facades restoration, roofing and concrete specialty contractors in the United States. 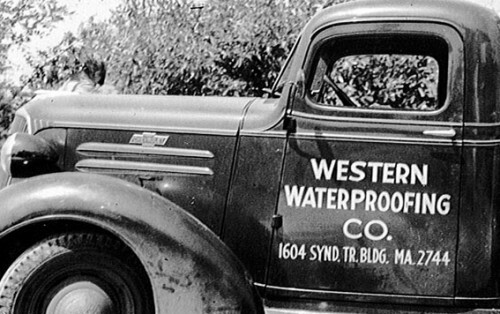 Through a willingness to adapt, a commitment to quality service and a dedication to family values and its employees, Western has managed to succeed during some of the country’s most turbulent decades. 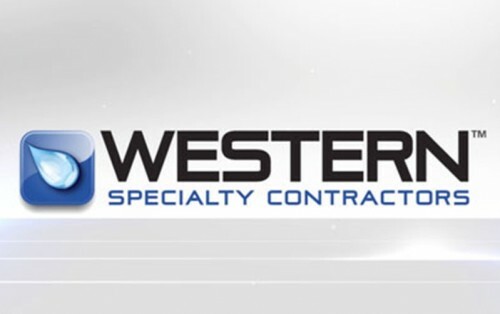 Today, with a track record of 100 years of quality service, more than 1,250 dedicated employees and an average of 3,000 contracts each year, Western proudly continues to set the standard for excellence in its industry.